Take your parish on a tour of the Eucharistic Miracles of Italy. Deepen their faith in our Lord’s precious gift and set their hearts on fire for love of Him! This is a SAMPLE ITINERARY, which may serve as a starting point for planning your customized pilgrimage. Contact us to customize a tour based on your desired travel dates and destinations. Enjoy dinner served aboard overnight flight. Upon arrival in Rome, the group will be met by the tour guide and escorted to the hotel. Balance of day at leisure to explore the “Eternal City” on your own. Dinner and overnight in Rome. After breakfast and Mass, depart for a guided tour of St. Peter’s Basilica as well as a visit to the Vatican Museums including the Sistine Chapel. Enjoy an “Illumination Tour” of Rome this evening. Dinner and overnight in Rome. This morning, enjoy ½ day tour, visiting three major basilicas in Rome including St. Mary Major, St. John Lateran, and St. Paul Outside the Walls, as well as the Catacombs. Depart in the afternoon for Assisi. En route, visit Bolsena/Orvieto, the town closely associated with a Eucharistic Miracle. Visit the famous Cathedral of Orvieto, dating back to 1288. Continue to Assisi for dinner and overnight. 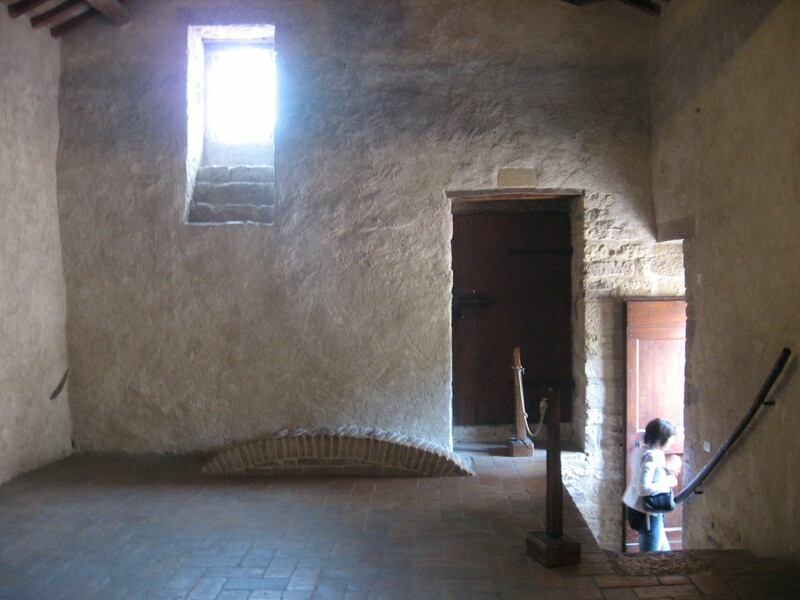 San Damiano: The door through which St. Clare elevated the Blessed Sacrament over the Umbrian valley and, through a miracle of the Eucharist, the Saracen army was vanquished and Assisi was saved. Today, group will enjoy an orientation tour of Assisi, the town of beloved St. Francis, including the Basilica of St. Francis, the convent of St. Clare, and the Basilica of St. Mary of the Angels. Afternoon is free to explore Assisi on own. Discover the interesting shops and eateries among the winding streets of this quiet, peaceful village. Dinner and overnight in Assisi. This morning, depart for Lanciano. En route, stop in Cascia, home to St. Rita. Visit the Basilica of St. Rita, where lies her incorrupt body and several relics from her life. Another precious relic in the Basilica of St. Rita is the Eucharistic Miracle of Cascia. As the miracle is distinct from the life of the saint, it has a story of its own. 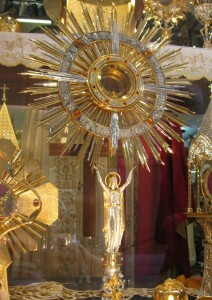 Continue on to Lanciano, upon arrival group will go directly to the church which houses the relic of the living flesh of Jesus in a special Monstrance and Tabernacle. An explanation of the miracle will be presented by the custodian, Fr. Gabrielle. (if available) Dinner and overnight in Lanciano. Depart for San Giovanni Rotondo after breakfast. The group will enjoy a tour of St. Padre Pio’s tomb and cell, the old church where he received the stigmata, and his confessional upon arrival. Dinner and overnight in San Giovanni Rotondo. Visit the Cave of St. Michael this morning before departing for Sorrento. Upon arrival visit the Shrine of Our Lady of the Rosary for Mass. Continue to Sorrento for a breathtaking view of the Bay of Naples. Ample time to enjoy Sorrento on your own with its exquisite shops and panoramic views of the bay which abound from terraced eateries. Savor a cappuccino and drink in this famous vista at leisure. Enjoy dinner and overnight. Depart Sorrento this morning. En route, visit Monte Cassino, the town closely associated with St. Benedict. Here visit the Abbey in which St. Benedict lived. Founded in 529A.D. the monastery is set on an impressive hill overlooking the town of Cassino. Arrive in Rome with afternoon free. This evening group will enjoy a “Farewell Dinner” with wine and music at a local restaurant. Overnight in Rome. This morning, depart for Rome airport for our return flight home.